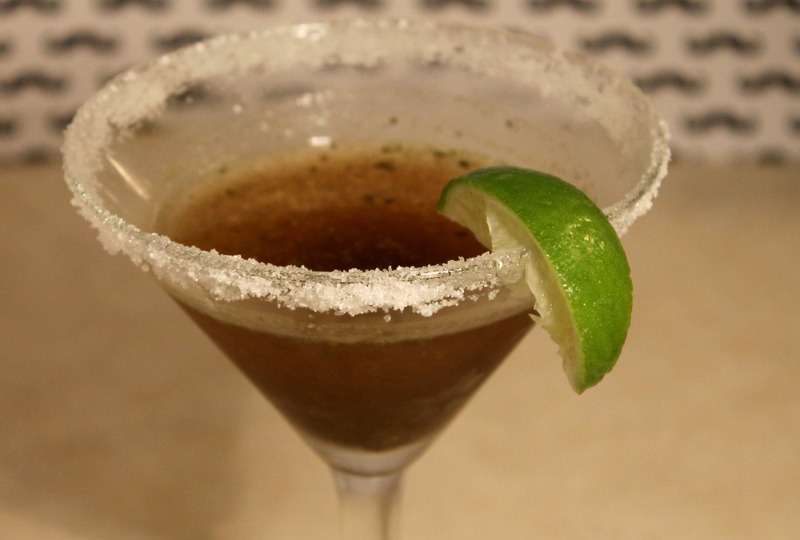 Masala Margarita – Cinco de Mayo Special! We may not celebrate Cinco de Mayo, but an opportunity to create a unique drink is never missed in our home! A chilled glass is a must for this drink! We also used the margarita as a ‘shot’ to chase down some super stuffed pani puri’s. 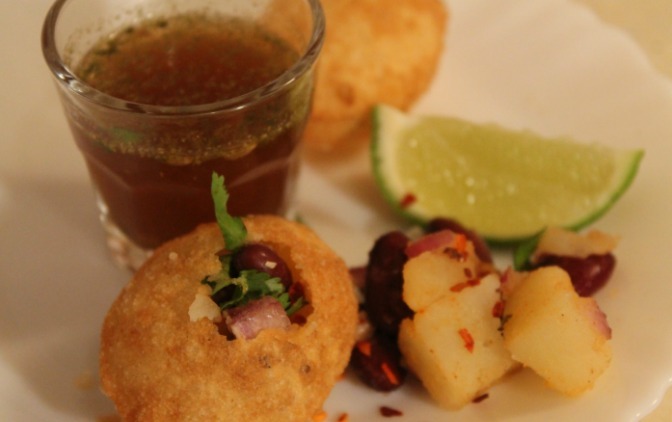 I definitely prefer it as a drink to sip, but pani puri shots would be a fun way to entertain. As with every drink, we both rated it…. 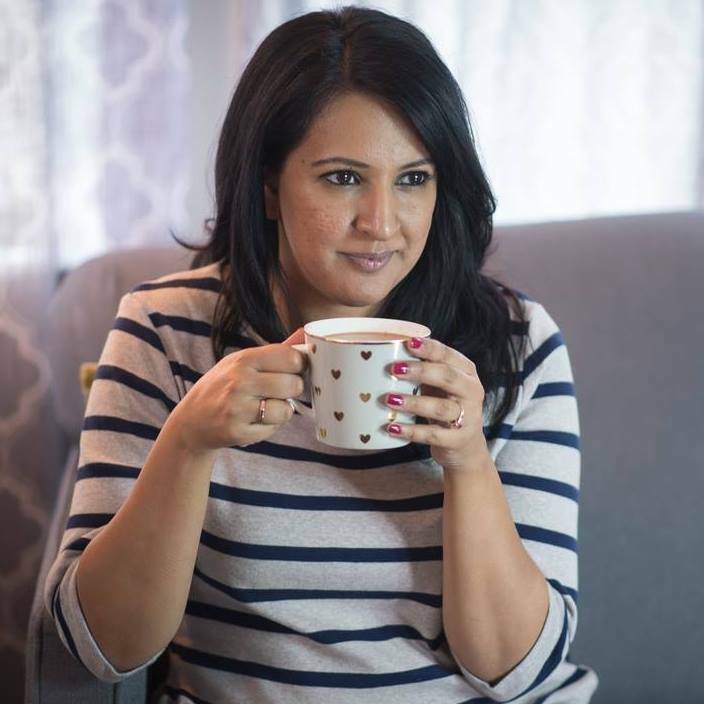 She Said (Raj): I loved this drink! The hint of tamarind from the pani puri water with the tequila was perfect. I couldn’t drink a lot of these, but would love the pairing with an Indian dinner. He Said (Mr. T): I found this drink a little too spicy (the heat comes from the pani puri water). I also wish we didn’t use a sugar rim – we thought it would balance the sour drink, but I would skip it and stick with salt. It’s not going to be on my repeat list, but I will definitely shake one up for Mrs. T again! Chill your margarita glass ahead of time, and rim with salt before mixing your drink.